An affluent Los Angeles neighborhood is home to the Sandin family. On Purge night 2022, the family becomes a target of a masked gang of young criminals due to their actions in helping a wounded Stranger being targeted by Purgers to take shelter in their home. The sadistic gang leader unmasks himself to threaten the family via the cameras that they would be murdered if they don't surrender the man within an hour. The Stranger later helps the Sandins when the purging gang and the hateful neighbors invade the household and attempt to kill them. 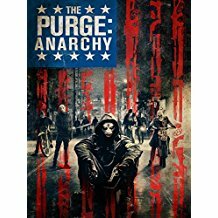 An off-duty Los Angeles Police Department sergeant named Leo Barnes who purges to avenge his son's death becomes a protector of a married couple whose car breaks down on the purge's commencement and a working class mother and daughter who are kidnapped from their home in their survival of the annual purge. Meanwhile, the wounded Stranger from the first film, whose name is revealed as "Dwayne", is the partner of Carmelo Johns, the leader of an anti-Purge resistance group that hacks into TV programs to broadcast messages challenging the system, stating that the Purge does not cleanse aggression, but rather eliminates the poor. In 2040, years after the events of The Purge: Anarchy, LAPD sergeant Leo Barnes is the chief of security for U.S. Senator and leading U.S. presidential candidate Charlie Roan, who vows to end the Purge, having witnessed the death of her family 18 years ago, during the events of the first film. In a bid to prevent this from happening, the NFFA takes the unprecedented step of abolishing the protection afforded to government officials of ranking 10, allowing the U.S. public to target all government officials for the first time since the purge's creation. 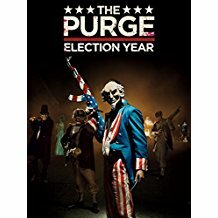 After a betrayal within the government targets her for death minutes after the Purge's commencement, Barnes must protect Roan while on the run for safety until they meet and form an alliance with some of her supporters; two shopkeepers, an EMT, and an anti-Purge rebel team headed by the wounded Stranger from the first two films, Dwayne, who has assumed an alias by the name of Dante Bishop. The group are also aided by the notorious Crips gang to avoid an NFFA-loyal neo-Nazi/white supremacist paramilitary team from capturing the senator. Meanwhile, the NFFA candidate and Roan's rival, Minister Edwidge Owens, who has been set up as a candidate to maintain the status quo, leads the NFFA in committing more acts of violence during Purge night as rebels try to protect more citizens. My all time fav thriller/sci-fi movies!